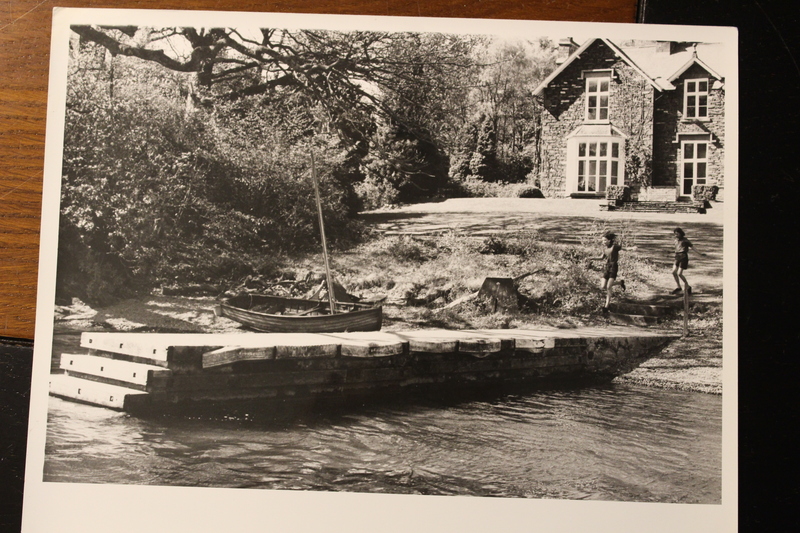 Forty two years ago, this shot was taken of Virginia McKenna valiantly playing Man Friday, rowing away from what I had decided was a desert island. We were filming on Coniston Water in the Lake District. She was playing my mother, concerned about leaving a small girl alone as the evening drew in. 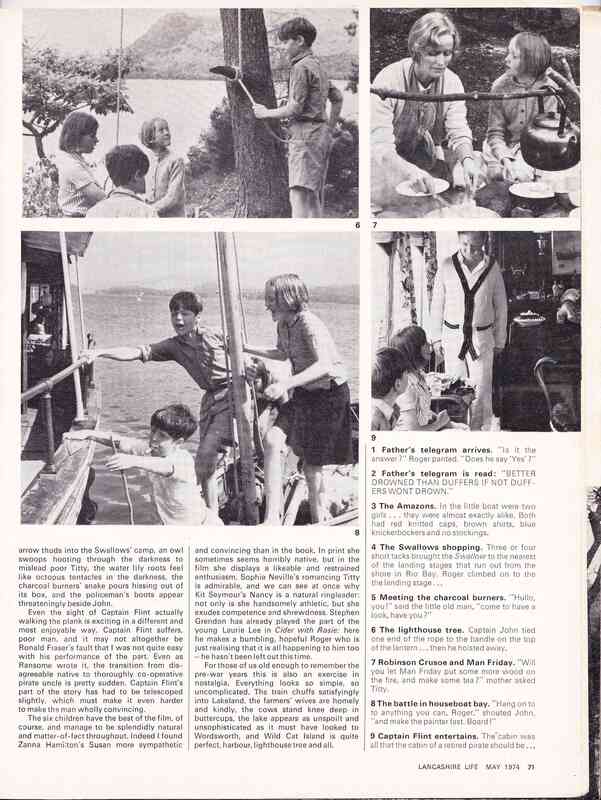 I’ve been set a copy of Lancashire Life, published in 1974, which describes the filming at length. Quite fun. You can see a still of Man Friday and I cooking Pemmican cakes for supper on the camp fire, top right. 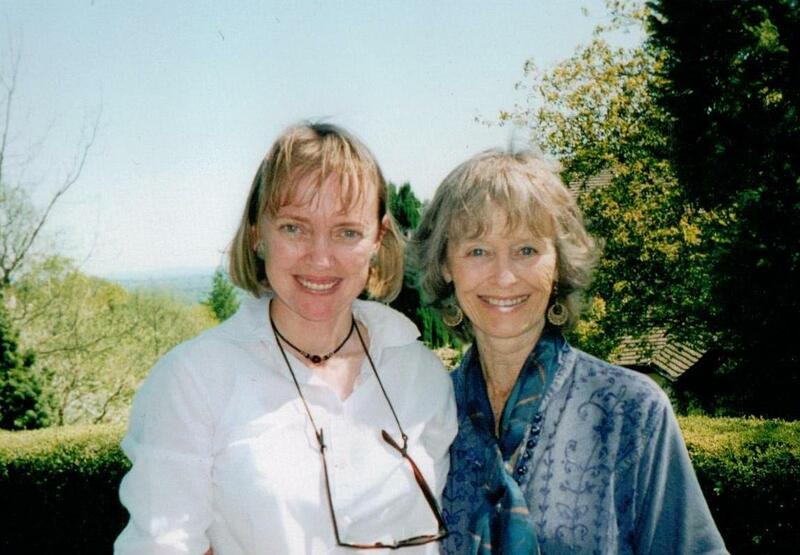 Being awarded an OBE in 2004 for services to wildlife and the arts, Virginia has since become a national treasure. 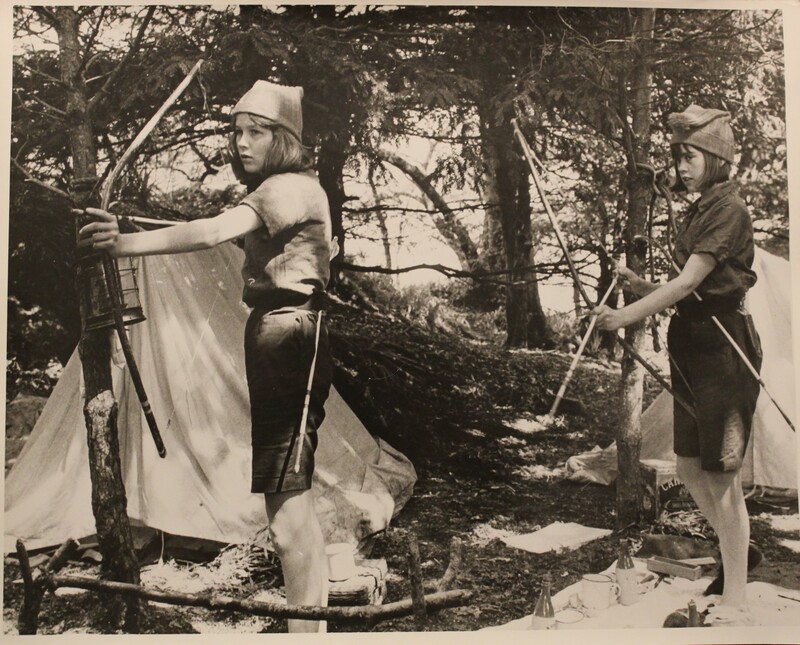 She will quickly deny this but you will find photographs of her at the National Gallery, along with Suzanna Hamilton, who played her daughter – and my sister, Susan in Swallows & Amazons (1974). ‘Stars of the British Screen’ by Norman Parkinson. 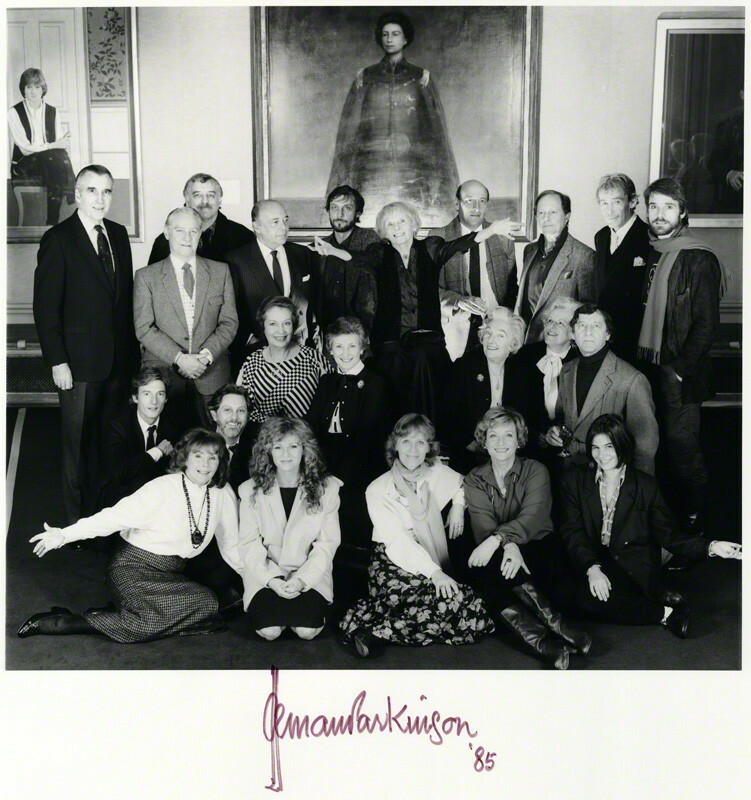 Virginia McKenna sits bottom centre, Suzanna Hamilton bottom right, either side of Susannah York. 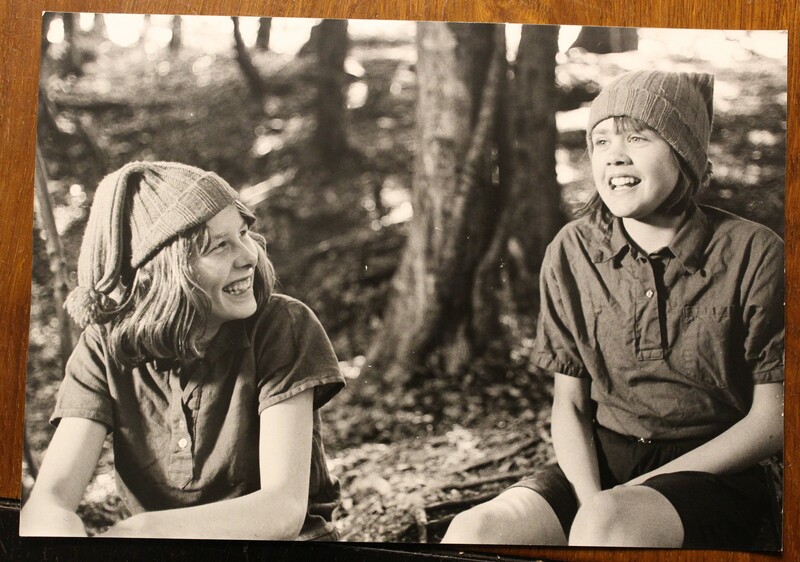 Virginia has appeared in over thirty feature films, numerous television dramas and many fascinating documentaries. She won a BAFTA Award for Best British Actress in ‘A Town Like Alice’ and was nominated Best Actress by BAFTA for playing Violette Szabo in the WWII story ‘Carve Her Name With Pride.’. 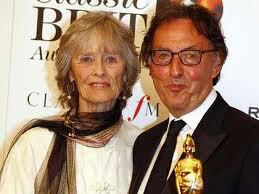 She was nominated for a Golden Globe for her portrayal of Joy Adamson in ‘Born Free’ , which won the composer John Barry two Academy awards. 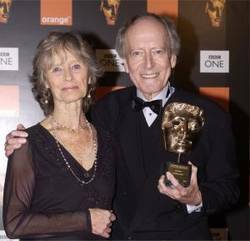 She is still happy to work as an actress, soon to appear in ‘Golden Years’ with Simon Callow and her granddaughter, Lily Travers. 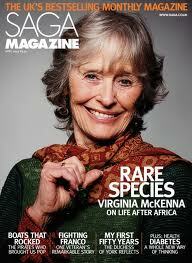 If you interview her now, Virginia is more likely to talk about wildlife than acting. She uses her name to promote kindness. And to stop the slaughter of elephants. One of her latest missions is to urge schools to teach children about conservation. She has recently become patron of Shropshire Cat Rescue’s Purr project. Arthur Ransome helped finance a similar project himself. 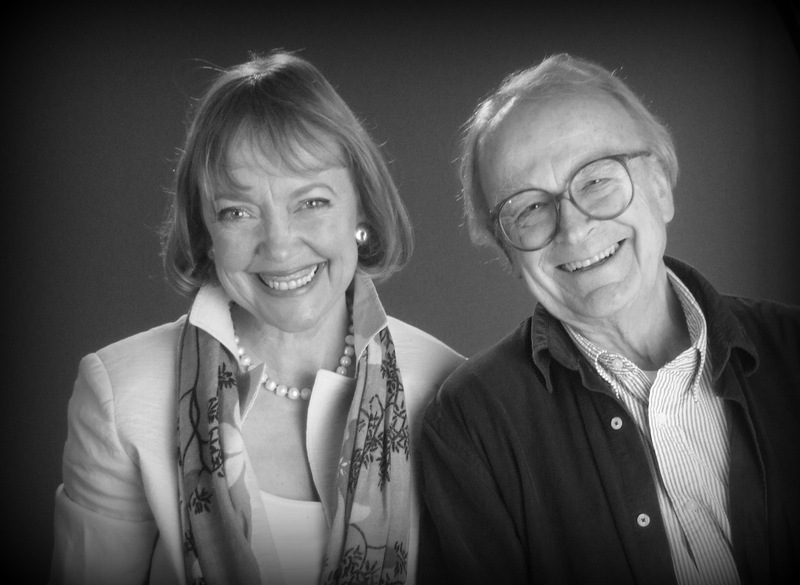 2015 marks the thirty-first anniversary of the Born Free Foundation, which Virginia established with her son Will Travers to help big cats and other large mammals held in captivity. She still travels the world to raise awareness and alleviate suffering, drawing on all she learned from George Adamson whilst filming Born Free in Kenya back in 1966, and An Elephant Called Slowly in 1970. You can read more about her work by clicking here. 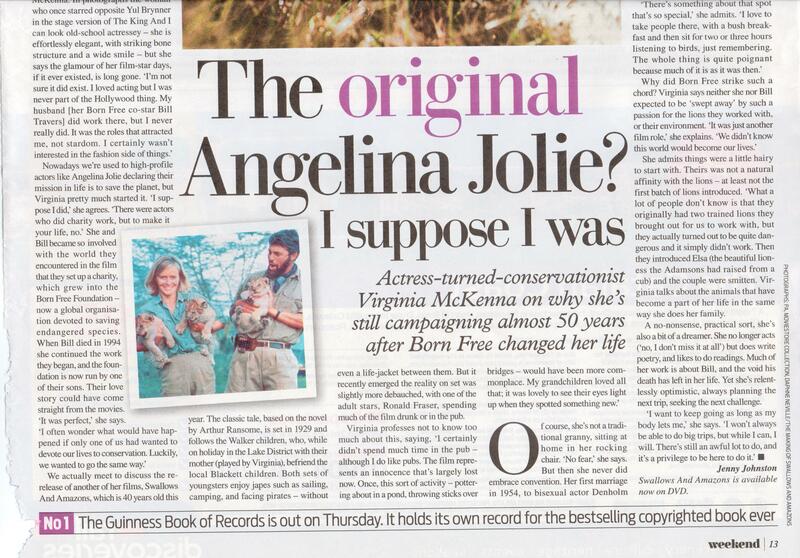 Virginia has written about her career and conservation work in a number of books including Into the Blue and an autobiography entitled The Life in My Years available online from the Born Free shop. 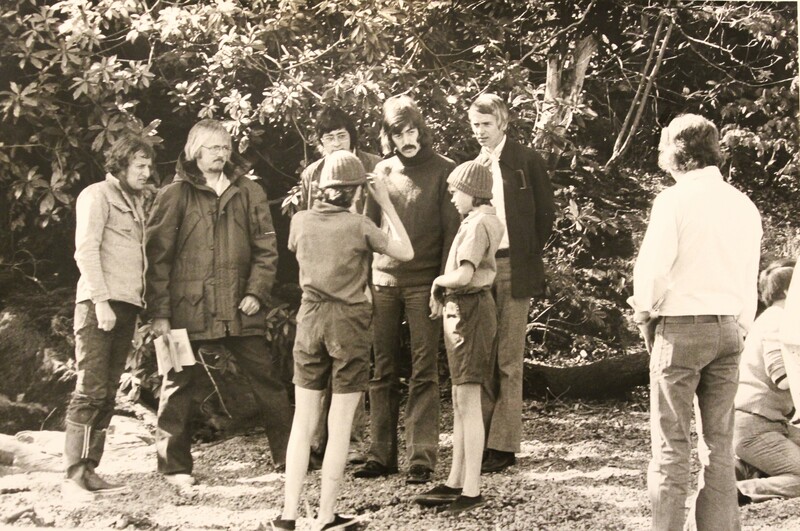 42 years ago we were filming with Virginia McKenna at Bank Ground Farm in the Lake District. 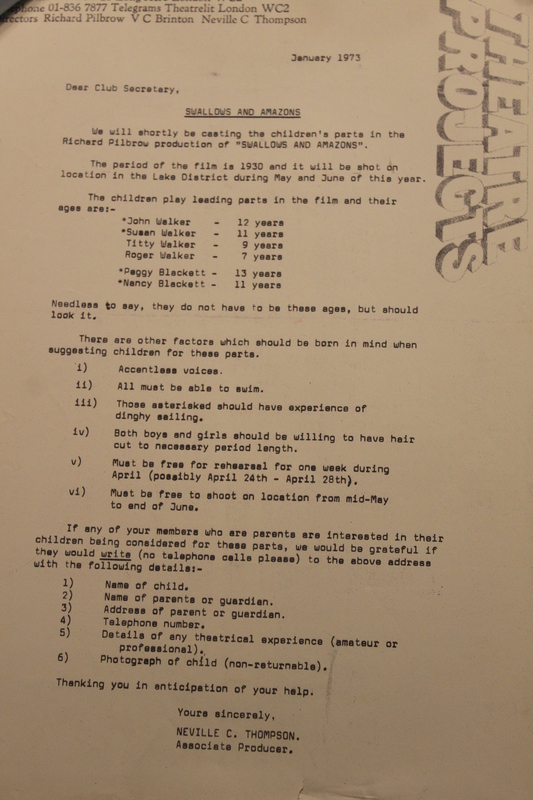 To read the sections of my diary on filming Swallows & Amazons on Peel Island, please click here. 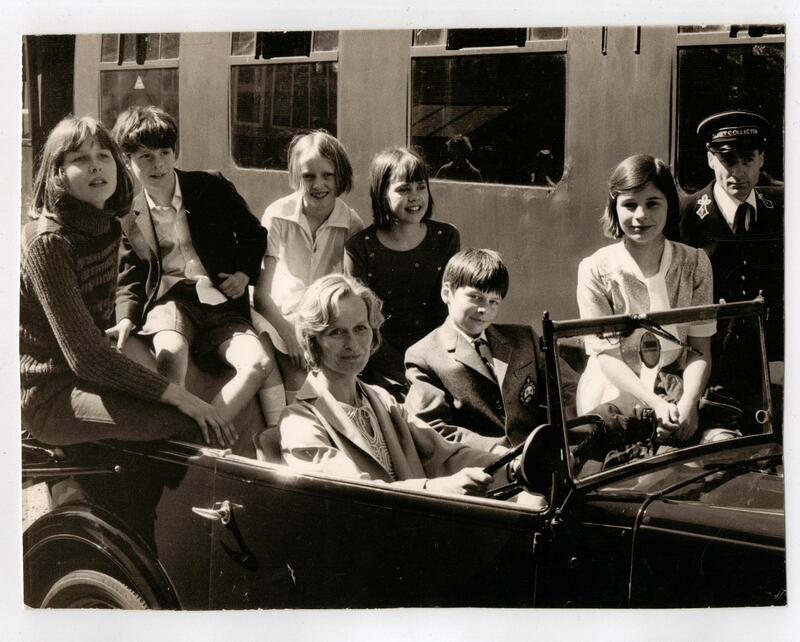 On 21st March and 28th March, the new CBBC TV show ‘Cinemaniacs’ included guest appearances from Sophie Neville and from David Wood, who wrote the screenplay for ‘Swallows & Amazons’ back in 1973. Oli White, the vlogger and presenter of ‘Cinemaniacs’, asks a number of people involved in movies about making their first film. Others featured include Michael Sheen, Sir Ian McKellen and Matthew Lewis famous for playing Neville Longbottom in all eight Harry Potter movies. Watch Episode 7 (from 18 mins in) on BBC i-Player by clicking here. 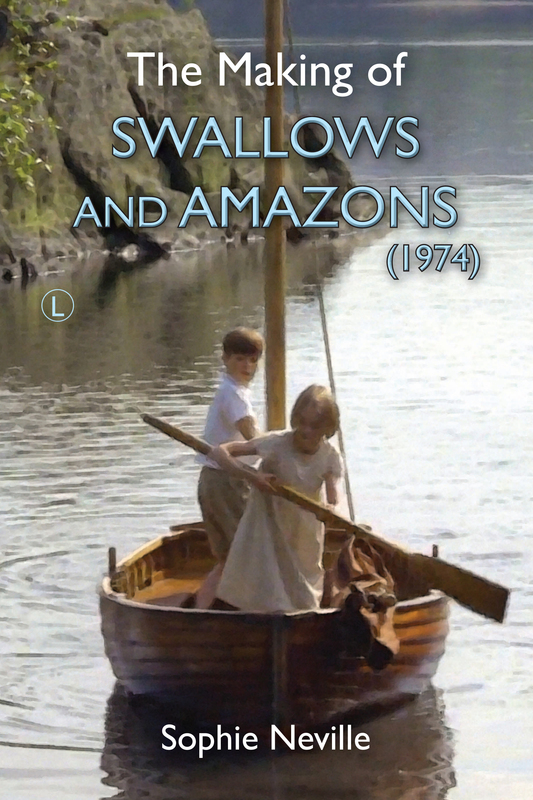 To find out more about how the film ‘Swallows & Amazons’ (1974) was made, along with how the children’s parts were cast, please see earlier posts or read the book! It includes more than 120 photographs taken on location in the Lake District.